Roger Federer notches his 75th match win at Wimbledon and continued his quest to become the first man in history to win eight titles with a 6-4, 6-2, 6-2 victory over American Sam Querrey. The second seed Federer will face Sam Groth in the third round. Earlier, Aussie Groth fired 24 aces as he beat compatriot James Duckworth 7-5, 6-4, 7-6(6). 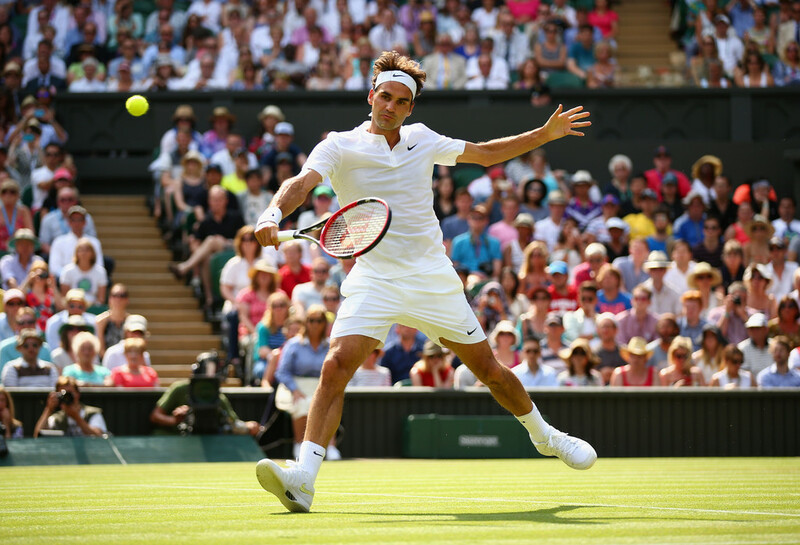 Federer fired 32 winners, won 19 of 22 net points and hit just 10 unforced errors in a 85 minutes encounter. "I'm very happy with the way I've played now in the first two matches. I've had a good run so you don't want it to stop in the first or second round. I guess there's also a little bit of relief that I'm actually playing well at Wimbledon," said Federer. "Today was definitely a good day. I sort of returned well. I definitely think I can serve a little bit better. I didn't check my match stats, but I feel like things are definitely good out there. I had a good 10 minutes at the end of the first set. I think that was the key moment to go from 4-all to 6-4, 2-0. That was the moment that I took control of the match really. "Querrey can definitely be dangerous. He's got a big game, especially on the grass. He was going for his shots today. It was important today to move well and be clear in the important moments. I felt like I was. It was a good match." It was the first meeting in seven years for the pair, completing a set of meetings on all three surfaces. With the win, Federer improved his ATP Head to Head record over the World No. 36 to 3-0. Last year at the All England Club, the Swiss reached his ninth Wimbledon final, his 25th major final overall (l. to Djokovic in five sets). Federer is bidding to become just the second man in history to win eight titles at the same Grand Slam event. Rafael Nadal became the first man to achieve this feat by winning the eighth of his ninth Roland Garros titles in 2013.